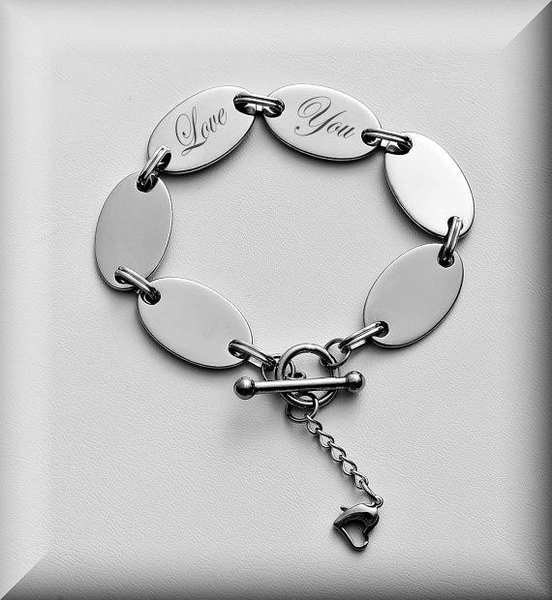 Thoughtful engraved gift for any special person in your life. 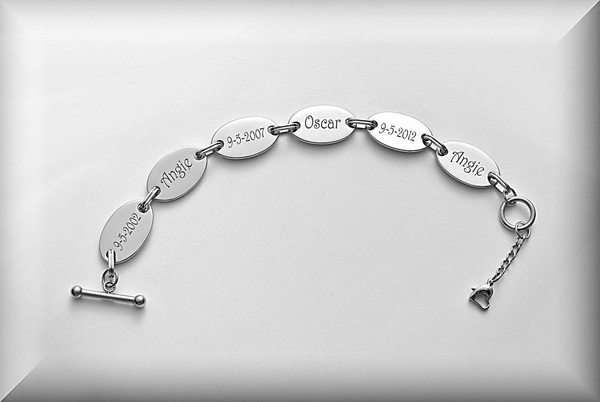 This engraved bracelet has six oval plates that can be engraved with up to six names, dates or words. High polished stainless steel bracelet is finished with an extender and a claw clasp. The bracelet measures .75 x 8.0 inches in length.